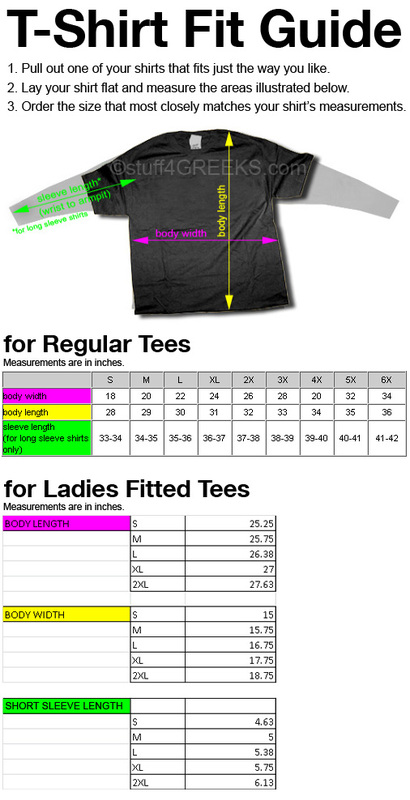 Base price includes text stitched on the front. This camouflage t-shirt is ready for customization. Choose artwork from our Design Library or upload your own. Add your own message, etc. 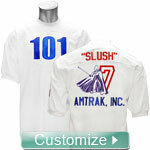 The end result will be a high-quality embroidered design. Embroidery is much better quality than screen printing. This design will last your whole lifetime. 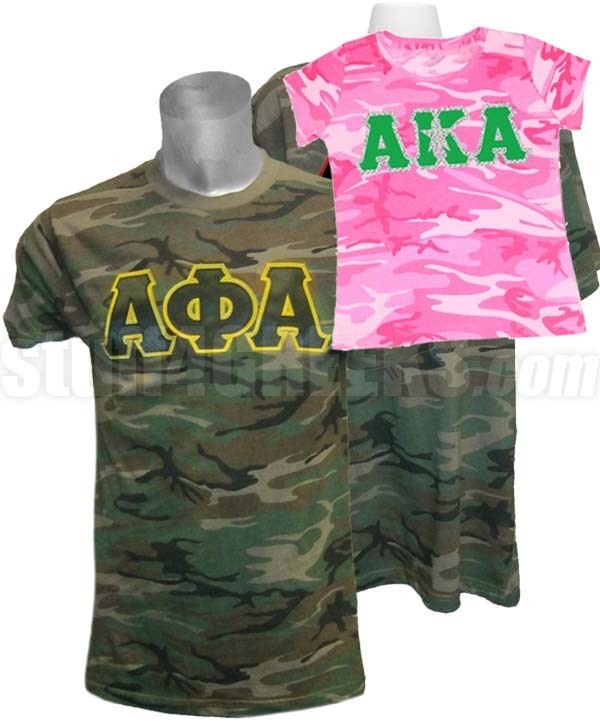 You can customize this shirt for your fraternity or sorority, but you aren't limited to that.